Ray Dolby, a pioneer in audio technologies, died Thursday in San Francisco. He was 80. Dolby Laboratories announced the news. Recently, he had been living with Alzheimer's Disease and was diagnosed in July with acute leukemia. 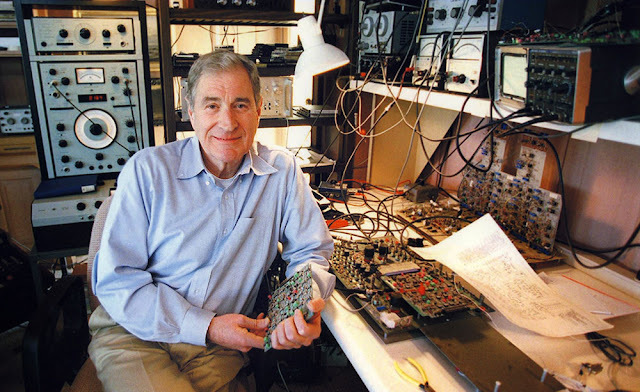 Ray Dolby, a pioneer in audio technologies, died Thursday in San Francisco. He was 80. Dolby Laboratories announced the news. Recently, he had been living with Alzheimer's Disease and was diagnosed in July with acute leukemia. Dolby has been honored by the Academy with Sci-Tech Awards. The first was a Scientific and Engineering Award (a plaque) in 1978. He was honored as part of a team at Dolby Laboratories, Inc. "for the development and implementation of an improved Sound Recording and Reproducing System for Motion Picture Production and Exhibition." The second was in 1988 when he was honored Academy Award of Merit (a statuette). He was honored alongside Ioan Allen of Dolby Labs "for their continuous contributions to motion picture sound through the research and development programs of Dolby Laboratories." The ballroom at Hollywood & Highland Center is named after Dolby. The Oscars theater thee also bears his company's name. Read more via a tribute page on Dolby's website.